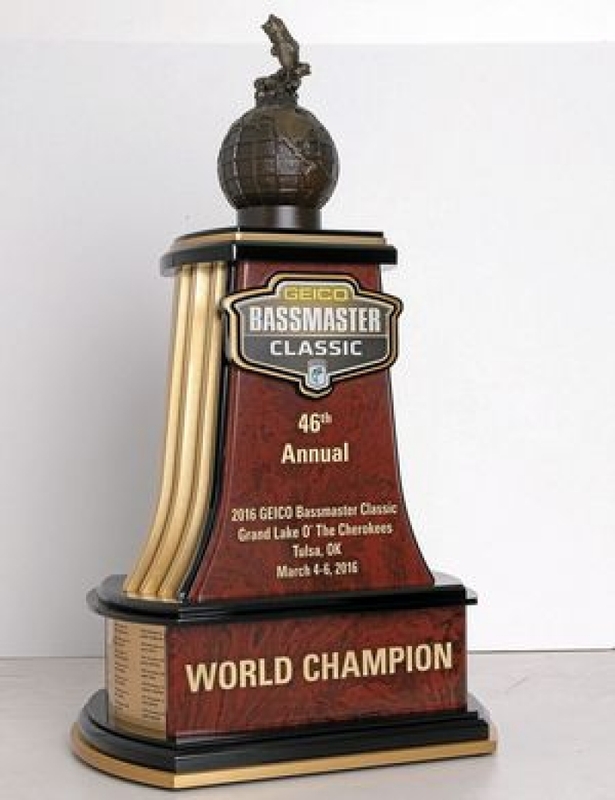 Now that the Super Bowl has finished for a season, Texas is getting ready for the next big event - the 2017 Geico Bassmaster Classic. The Rod Glove is proud to sponsor many Pro Bass Elites that will be competing for the largest football size bass that they can find in Lake Conroe, getting them the largest weight over this 3 day event which has the largest turn out in the fishing industry. With Pro Bass Elite Gerald Swindle or "The G-Man" on every package, The Rod Glove is also a sponsor to many others including Randy Howell, Jordan Lee, Brent Ehrler, Paul Mueller to name a few. Just like the Super Bowl, many BASS fans are looking to their favorite anglers and the odds are building as we approach the event. The Rod Glove Pro Bass Elite Randy Howell is currently at (150 - 1) as he had a tough season last year and he has had some struggles on Lake Conroe in the past. But as a 21 year veteran in the sport and his 15th appearance to the Bassmaster Classic, Randy may have a good shot at finishing in the top. Another Rod Glove Pro Bass Elite, Brent Ehrler is (60 - 1) is ready to take the win as he has been working hard and has had success with Texas fishing having won on Lake Fork in May 2015 with more than 89 pounds. All eyes will be on him to see what he pulls from Lake Conroe. Recovering from knee surgery and finishing as Angler of the Year, the Rod Glove Pro Bass Elite Gerald Swindle is (20 -1) and has had time to stretch out his knee and hopefully will be feeling great to land some big ones to take the lead. Ready for his first Bassmaster Classic win, The Rod Glove Pro Bass Elite Jordan Lee is a versatile angler and is (8 -1) with many feeling that if the time is right he may indeed take the trophy. With the weather and conditions unpredictable this year, the expectations are that some hefty weights will be pulled from Lake Conroe. Although some anglers have better odds of winning than others, at the end of the event, it's anyone's best guess. One thing here at The Rod Glove we know for sure, is that our own Rod Glove Pro Bass Elites will be organized and their gear will be protected which will help them to focus on finding the big ones. With anticipation mounting already, we will be sure to tune in for the big event. As fisherman, and as competitors we are only as strong as our weakest link. We put ALL of our trust in our equipment, rods and reels boat line everything, and its so crucial everything work every time. Believe it or not one of the worse things is for rods to be snapping together and hitting each other. It creates spots of weakness where the blank is actually damaged. Using The Rod Glove, Reel Glove and other accessories, it enables me to be more organized, keep my rods and reels protected and untangled while in the rod locker. I know my equipment is going perform because of the protection The Rod Glove system provides.